Native Angeleno teens Jonathan Heit (13) and Alex Trevino (13) are avid skateboarders with a smart business sense. Heit (a film and television veteran) and Trevino (a budding mogul) came up with the idea of designing their own on trend skate/street apparel line during an afternoon study hall. 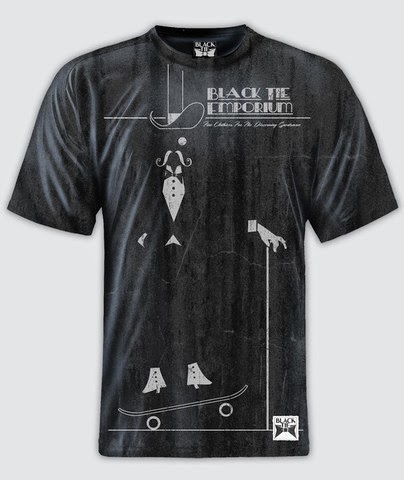 They decided to call their brand Black Tie Emporium because “it’s so opposite of what most people think of when they think of skateboarders.” The line currently features graphically unique, colorful shirts with designs that anybody can wear.